Because Challenges: #COYER Winter 2018 | Going Back to Basics... Again! Due to technical difficulties, COYER and Because Challenges have a new -- unexpected -- home here on Blogger. Thankfully our domains still work, so you can still find us by going to coyerchallenge.com or becausechallenges.com/! We lost our previous sign up post, so hopefully we haven't missed anything. And if you signed up, we've also lost the linky, so we'll need you to link up again. Sorry! This COYER we're going back to basics... again! COYER Winter 2018 will run from December 1, 2018 to March 2, 2019! Mark your calendars! 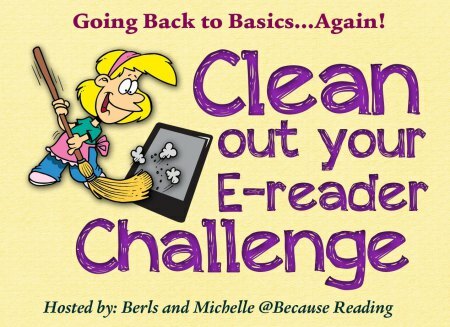 Read Your E-Reads! 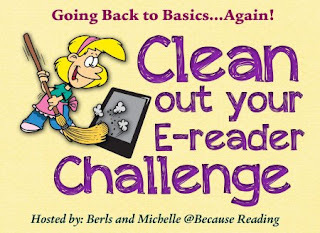 Every book you read MUST be in an electronic format – meaning E-Book or Audiobook. It’s okay to start a book before December 1st, you must be less than half way for it to count then review it during COYER. The books must be FREE or NEARLY FREE! This includes review books, tour books, NetGalley, Edelweiss, etc. What’s nearly free? No more than $2 for eBooks and no more than $5 for Audiobooks (or the equivalent in your currency). This does NOT include library books, borrowed books, or Kindle Unlimited books. Announce your participation! This can be a blog post (or if you don’t have a blog – Facebook, Twitter, Google+, Booklikes, Goodreads, Shelfari, etc.) If you want to list books you would like to read, that’s great, but not necessary. The point is to let everyone know you’re committed to COYER, maybe share some goals, and help spread the word. Not sure how to do your post? Check out this example from a previous COYER. Review & Link Reviews! Your review may be on your blog, Goodreads, Shelfari, Booklikes, etc. Link the review to the Review Linky (which will be available on the kick off post on December 1st). We are giving away (2) $10 Gift Cards. One is for the review link and the other is for a goody type of giveaway. It will be for readathons, participating, visiting, etc. We will have all the info on the kick off post. Visit Each Other, Chat & Have Fun! We will have a few read-a-thons this COYER, where we go to summer rules... as in anything goes. Price and format won't matter during those read-a-thons. We'll have the exact dates for the read-a-thons on the Kick off Post December 1st. If you haven't yet, be sure to join our Facebook group! As always we'll have daily games and questions to chat about. We'll also have 4 twitter parties this time around, dates will be announced on the Kick Off Post. Be sure to follow #COYER for reading updates and for the party! We'll have our month long Instagram challenge in February, so watch for that photo announcement in January! This will be the official signup linky. Again, if you linked up on the previous site, please take a second to link up again. Back to give it another go! OK is there a rule about how long they need to be? Do novellas count? Can I still sign up? Can I count the books I've read since December 1 that meet the rules? Thanks!